Fence Becomes Ongoing at BOOM! After debuting to critical acclaim, BOOM! Studios is excited to announce that the FENCE limited series, from best-selling novelist C.S. Pacat (Captive Prince) and popular online sensation Johanna The Mad, has scored an upgrade to an ongoing series beginning with April’s issue #5. Launching from the celebrated BOOM! 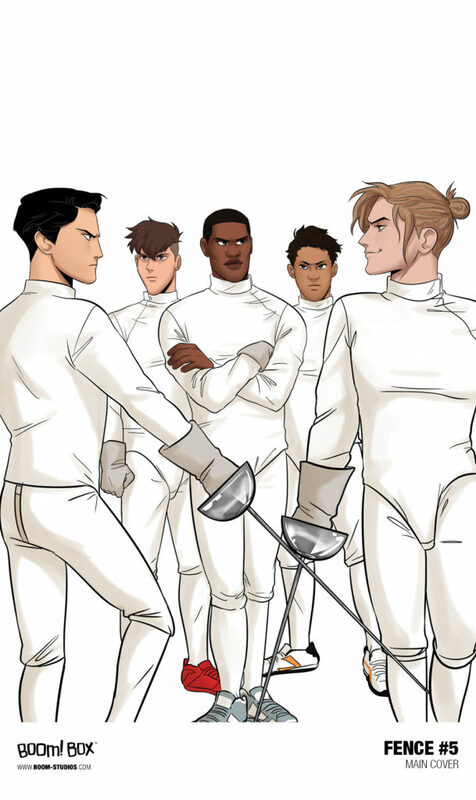 Box imprint in November 2017, FENCE brought together the worlds of teen soap opera with the adrenaline rush of competitive fencing for an exciting journey of self-discovery that won over legion of fans worldwide. 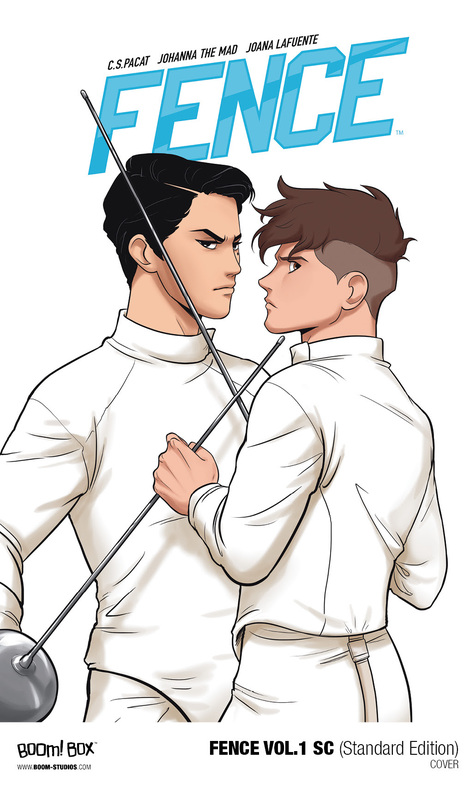 In July, a standard edition of FENCE VOL.1, featuring a different cover and including additional behind-the-scenes material, will be released to comic shops and bookstores worldwide, with an MSRP of $9.99. While this standard version will remain in print, FENCE VOL.1 DISCOVER NOW EDITION will be strictly limited to the initial print run and then never reprinted again. 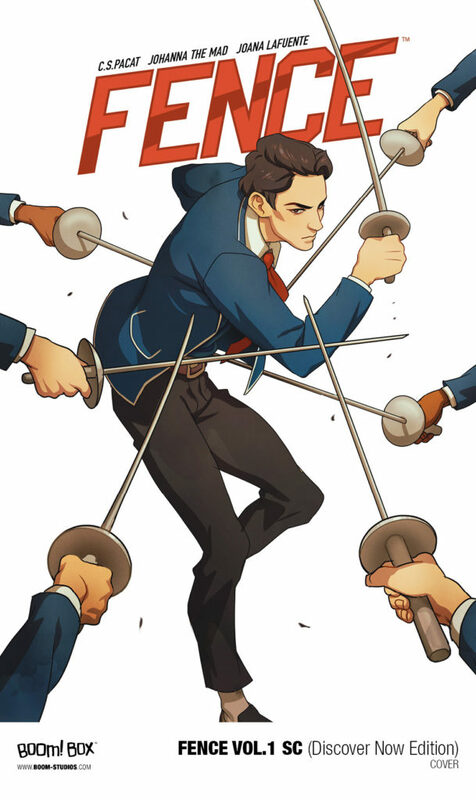 Print copies of FENCE VOL.1 DISCOVER NOW EDITION and FENCE #5 will be available for sale at local comic book shops (use comicshoplocator.com to find the nearest one) in April. Digital copies of FENCE #5 will be available to purchase on digital book marketplaces, including ComiXology, iBooks, Google Books, and the BOOM! Studios app. FENCE is the latest release from BOOM! Studios’ critically acclaimed BOOM! Box imprint, home to popular original series such as Lumberjanes by Shannon Watters, Grace Ellis, Brooklyn A. Allen, and Noelle Stevenson; Giant Days by John Allison, Lissa Treiman, and Max Sarin; The Backstagers by James Tynion IV and Rian Sygh; SLAM! by Pamela Ribon, Veronica Fish & Mar Julia; and Goldie Vance by Hope Larson and Brittney Williams. For news on FENCE and more from BOOM! Studios, stay tuned to www.boom-studios.com and follow @boomstudios on Twitter.